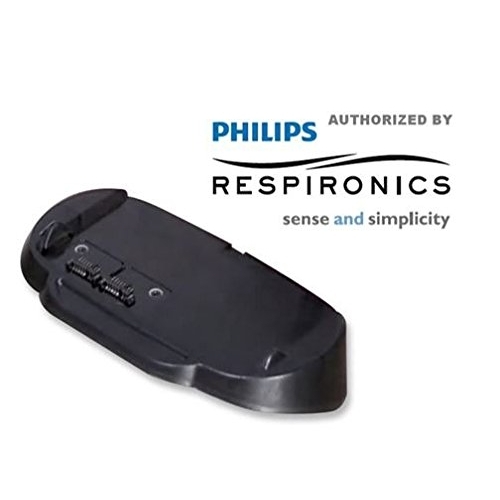 The Philips SimplyGo Mini External Battery Charger is used to charge the battery separately from the oxygen concentrator. It is ideal for charging spare batteries without having to charge using the SimplyGo Mini concentrator. The battery of the SimplyGo Mini concentrator is charged by the concentrator itself. If you own more than one battery, it can be difficult to have all your batteries fully charged at the same time. To solve this problem you can use this external battery charger. The external charger connects to the mains with its own power supply. Now just click the battery in the charger, and it will start charging automatically. Never worry about depleted batteries again!